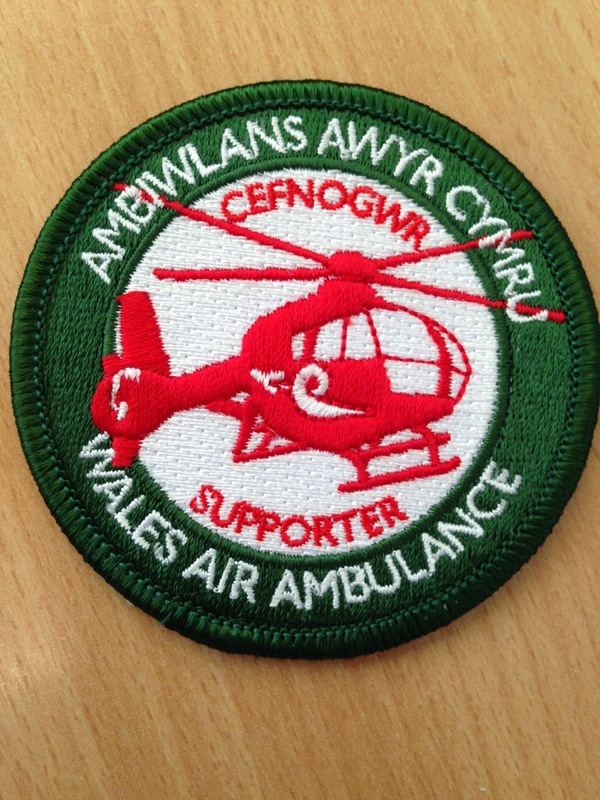 I am very happy to be able to sell Wales Air Ambulance supporter badges now. I should be taking delivery of them this week so that they can be sold at the races I attend. They look great! The badges will be sold at £5 each and are roughly 7cm in diameter and could be sewn or ironed onto riding gear e.g. jackets, trousers, tops, backpacks, bum bags, kit bags and so on. A number of RallyMoto club members have expressed their interest and in fact some have even pre-ordered their badges by including the word "BADGE" when making a donation through my JustGiving website www.justgiving.com/ioanwhittick. Thank you very much to everyone who has bought one so far, hopefully we can sell out of them and order some more!